This is the first song i have heard of verve`s but i really think..its a magic song..!! Any one can fall in love with this SONG! Well they are out with new album(2008) named. 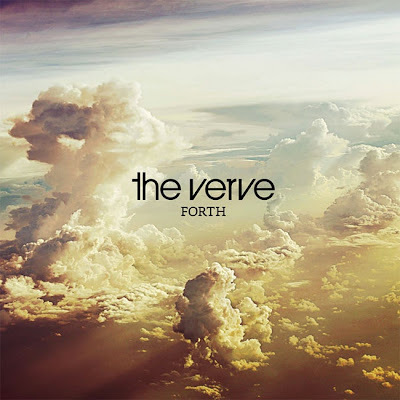 Forth is the fourth album by English alternative rock band The Verve. It was released internationally on August 25, 2008, and a day later in North America. The band reformed in 2007, having broken up in 1999. Forth is their first album of new material since their 1997 album Urban Hymns. The album's first single, "Love Is Noise," received its first airplay by Zane Lowe on BBC Radio 1 on June 23, 2008. The song reached #4 on the UK Singles Chart and became a summer hit in Europe. The band also released a non-album track, "Mover," as a free digital download a week later. All songs written by The Verve, except where noted. Even they have given hits from this album. Actually they are my hits i like them....hope you will also like them! This is my first time i am posting..so.i don`t know the rules and way to do it. 2 cruel intentions... hmmm impressive name of movie yaar! Counting Crows - Colorblind is from that movie na! write more about the artist! the gal had a gr8 voice and seems very talented! by the way... does this song has any commection with the soundtrack of movie AMERICAN PIE???? I heard this yesterday too I think In iri's video if I am not wrong! anyways... awesome song! @pulkit bhiya-nice to see..ur comment..ill sure write it abt...tht artist and..yes that song is frm American pie! thanks...for inviting me m rlly enjoying! I am glad that ur enjoying rishab! when u just finish writing ur post...u will see below... something called "labels"
rishab verma,music,review,song recommendation etc etc! kuch samajh na aaya ho then pooch lena champ! tc love ya!